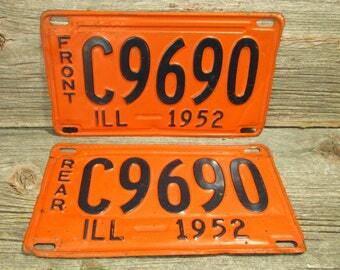 Vintage Illinois Truck License Plate 1951 red on silver SHORTY license plate set. 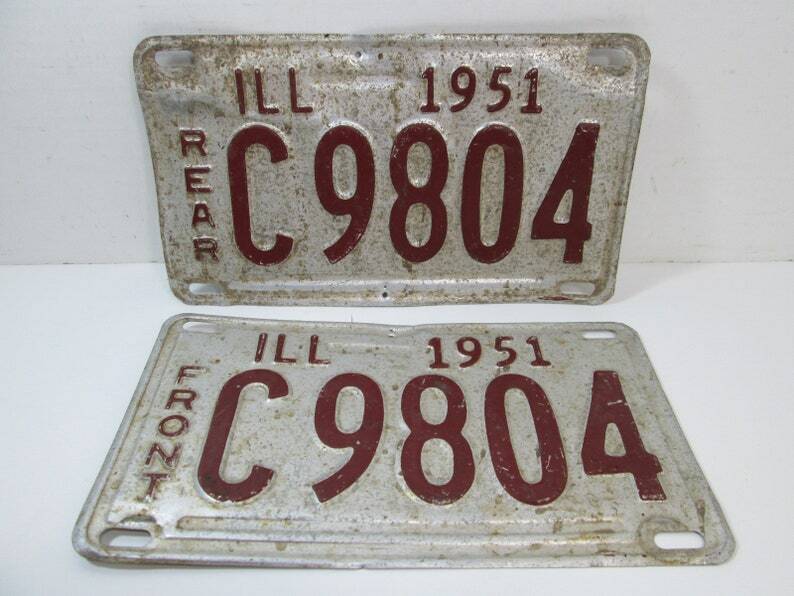 Illinois used to make the plates only long enough as needed for the number, hence the term "shorty" and the truck plates started with the letter "C". Please look at the photos for the condition. These plates may show some bent corners, rust, cuts in the metal, scuffing, scratching, chipping paint, denting, and bending typical of the age of these plates. The plate measures about 9 3/4 inches across, by 5 1/2 inches in height. This would make a fine addition to your vintage license plate collection! !